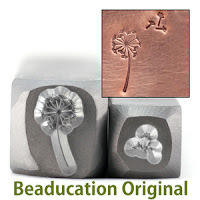 Beaducation: The Blog: Good Things Come to Those who Wait! 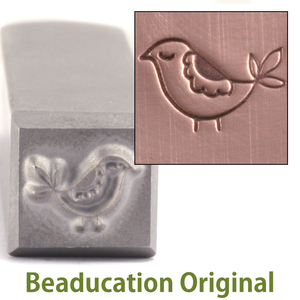 As some of you know, our Beaducation Original Design Stamps have been selling out faster than we can get them back in stock. The phone has been ringing off the hook and the customer service email has been flooded with messages asking, "When is the Mama Partridge coming back in stock?" Well this last week, she flew home to Beaducation Headquarters, where she is ready to be purchased, packed and flown out to you! We are also mighty excited to have our Beaducation Original Robot back in stock. 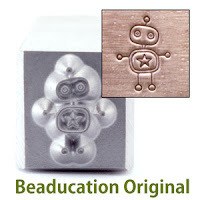 Although our Beaducation Original stamps are leaps and bounds easier to impress into metal than any other design stamps on the planet, the Robot in particular is the easiest of all stamps! As a staff member who has tried nearly all of our stamps, I can attest to the fact that the Robot (because of his adorableness and easiness to stamp) is hands-down my favorite stamp we carry. 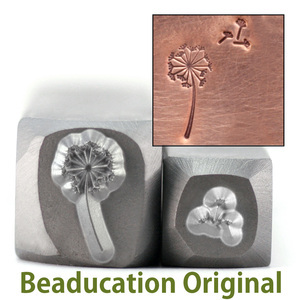 Now just when you couldn't get anymore enthused with the Partridge AND the Robot to choose from, we introduce our very first two-part stamp: Beaducation Original Dandelion and Fluff. The dandelions sat in our warehouse for awhile before their fluff flew in to accompany them. And I must admit, what is a dandelion without its wish? Well, a weed! Now that we have both the fluff and the dandelion together, it becomes the most magical flower in our stamping collection! Customers have been thrilled with the pairing. So be sure to check out all three of these fun design stamps and tell us -What is your favorite design stamp?' In fact, what design would you like to see that we do not carry quite yet? We always love to hear what is striking your fancy (or your blank). 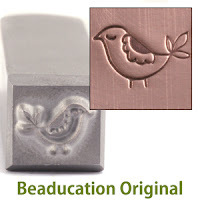 I waited and waited for more design stamps to come back in stock, I waited for more silver filled. Not sure I can wait any longer. I like products I can keep in stock to offer to my customers. I will have to tell you, that I am little disappointed.